Here is a fresh take on a fun game. Triple hoops pits players going for three tiers of hoops with the top hoop gaining the most points. A great game suitable for any event and any age. 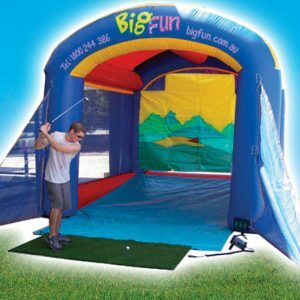 It is a fantastic add-on to your function or great on its own to entertain a crowd. 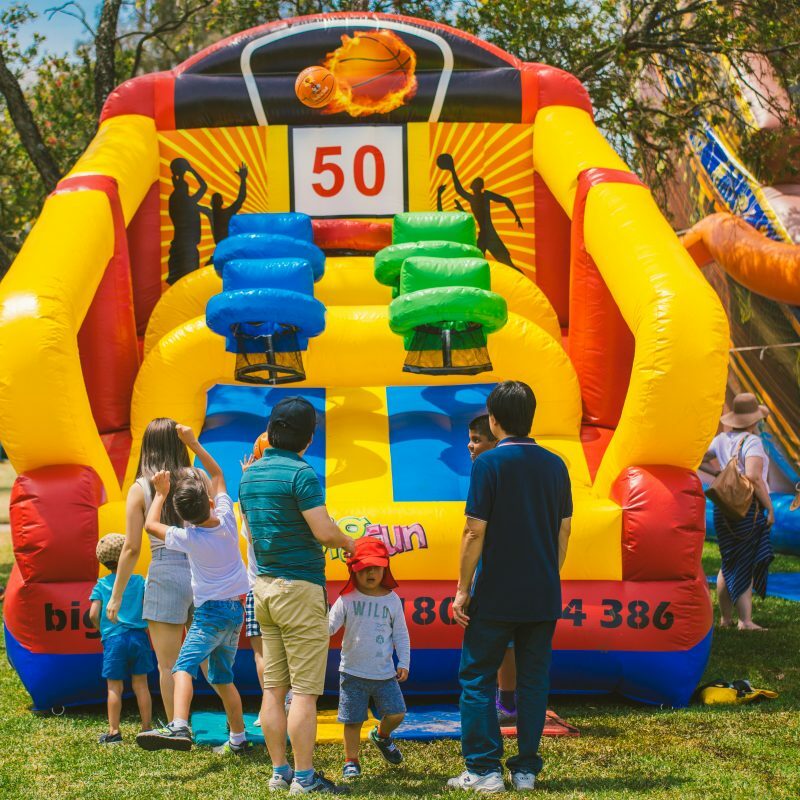 Hire the Triple Hoops Basketball inflatable today from Big Fun! 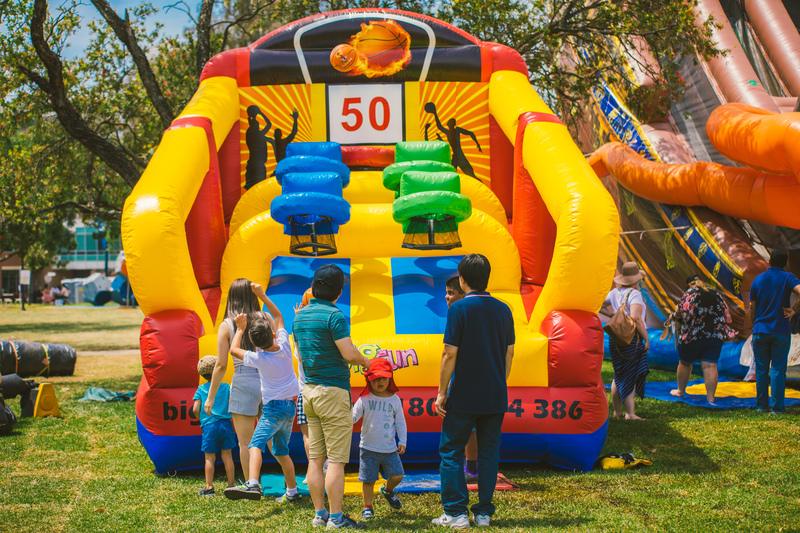 If you need to take on a huge crowd, or want to have an insanely great time with friends and relive your long lost childhood memories, the Adult Jumping Castle is the perfect attraction for all those young or just young at heart. 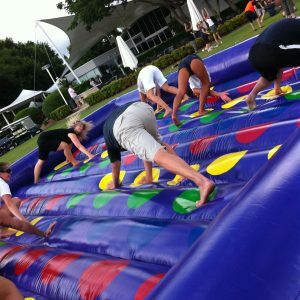 The biggest twister mat in the Southern Hemisphere – this behemoth takes up to a dozen+ people on a leg-twisting, arm-folding classic adventure! Choose either Golf, Tennis, Soccer or Cricket games. 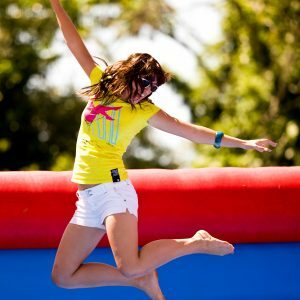 The Jungle Slide inflatable slide from Big Fun is the gold standard in inflatable slide hire. 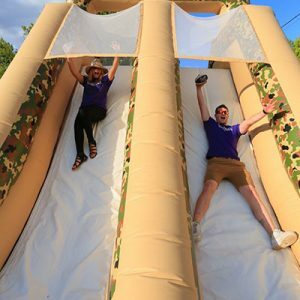 This awesome inflatable slide will fit well with any jungle or adventure themed party, and gives the same thrill on the 10th drop as it does on the 1st!